I am an Orange County Family Portrait photographer. 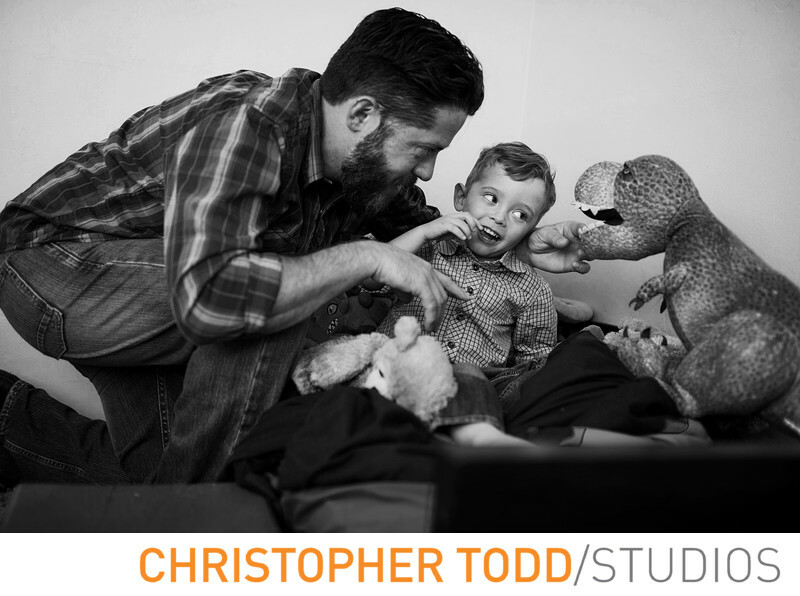 Our style of family photography includes candid, lifestyle, and traditional photography. Come in for your portrait session at our studio located near South Coast Plaza or we will meet you at one of the many outdoor locations in the OC. As a family photographer we make your portrait process as simple and convenient as we can. 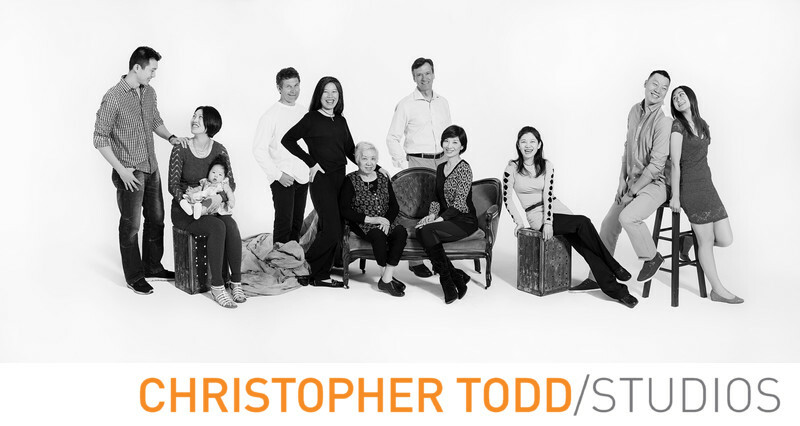 If you are looking for an Orange County or Los Angeles photographer to update your family portraits please consider Christopher Todd Studios. I have been photographing families for over 15 years. We know all the great locations in OC and Los Angeles to take your children, dogs, grandparents for amazing portraits. If you are looking for traditional photography come to our studio for the perfect lighting and background. We also love to photograph families at Laguna Beach, Central Park in Huntington Beach, Seal Beach Pier and many other spots around town. 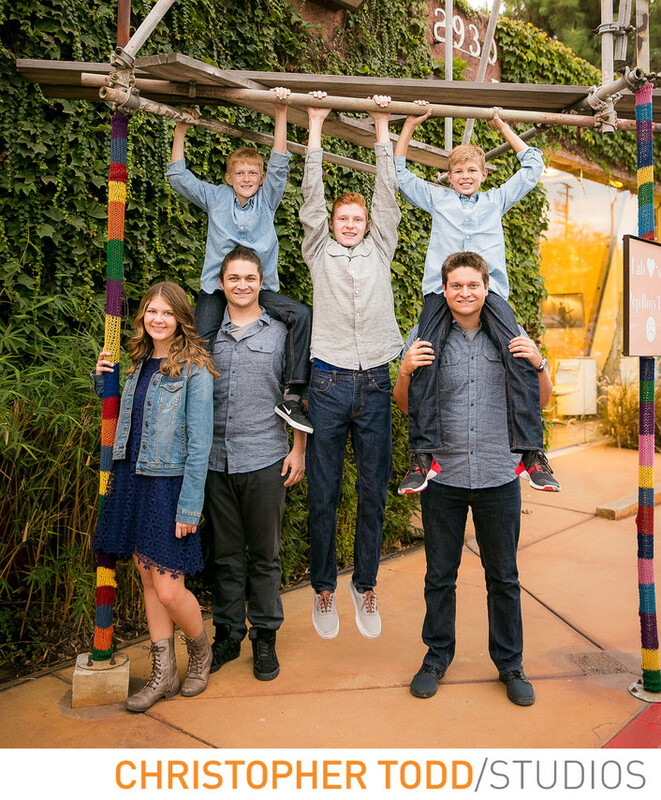 We can help you plan your family session connect with us today! It is not just our unique style and quality of photography but the service we offer. We will meet with you 3 times. The first meeting will be our in-person pre-meeting where we talk about you. With undivided attention. We talk about your style, wants and expectations. This is a custom experience for every client. We find out if we are a good fit for each other. Do we meet all your photography needs? Once we find out all about you, then with our expertise and trained eye we can move forward and create those unforgettable images that will become wall art in your home. We are not in the business to hand you a thumb drive or some files so you can share them on social media. Don’t get me wrong, social media is a great place to share your favorite photographs, but we strive for our clients to display their artwork whether it’s a priceless album or that custom wall art that will be seen for generations to come. Since we already discussed the details at the planning meeting a couple of weeks before your shoot all you need to do is show up relax and enjoy. Throughout the shoot we tend to give you a sneak peek through our camera of what we just took, clients love this and it really get them excited to take more pictures. You can expect to have a relaxed guided photo session. We will be there with advice on the right style clothing to guiding you in the best poses that will make you look and feel fantastic. A typical client will spend between 500-2500 with our studio, and in return you get support throughout the process and we make it practically effortless for you to decide on the end product. Second meeting we meet again for the photo session and that all goes well and we have a ton of fun and great moments together. The third meeting takes place about one week later we meet one more time. At this session meeting we provide our expert advice on what images will look amazing in your home. This is where I set aside the time for you where you have my full attention. I focus on your order. At the end of this meeting decisions have been made and it is easy. These three sessions are what sets us apart from the guy next door. You always walk away with a custom experience that it just for you. Throughout your experience with us you will feel comfortable, guided, no hard sales, we are here to meet your photography needs. With our expertise we will answer all your questions, concerns provide solutions and most importantly create beautiful art for you. When we first meet either in our studio, skype, or conference call we discuss all your wants and desires. We talk about your expectations. We get to know you better here by finding out personal things your family is interested in like hobbies, interests, favorite places to go. This helps us get to know you and by doing this we capture who you are. We go over all the details to make your session special planning location, color schemes, style and coordinating photos with your home decor. We also provide a style guide to help you with wardrobe decisions. Hair & Makeup services available. Scheduling your photo shoot and ordering session. Custom designed to capture your family's personality & close relationships. Since your style, location, wardrobe, and theme have been planned now we execute your vision in studio or outdoor. Come ready and relaxed to create some photographs that will make you smile for years to come. While we are snapping away we always keep in mind the discussion we had prior to the shoot. We already know if the photos will hang on the wall as art or will be in a custom coffee table album. This is probably the BEST and MOST IMPORTANT part. 4-5 days after your session you’ll come back to the studio and we’ll present your photos on our 90 inch screen. We set aside this time, and give you our undivided attention to help you realize your vision for the photographs. Ordering meetings typically last 1-1.5 hours. We will help you make all the decisions relating to the photographs, prints, and order at this time. Expect to fall in love with your photos. You might need a box of Kleenex we will provide that. Guided help in creating art for your home. We are here to guide you through the whole portrait process. At this point we already know your style and what you want to do with the photos we help you plan out what type of wall art will look great hanging in your house. If you are looking for a coffee table album we help you choose the best photos and design a custom album for you. 2-3 weeks later your order will be ready for pickup. We can also help with installation if you need any assistance. Photography is our way of preserving your legacy. We all know how valuable photographs are. That is why we want you to have an actual print, album, canvas, or framed photos to hang on your wall. When people ask me for the digital files, disk of all the photos, thumb drive with the pics on them I want to educate my clients about portraits. I want all my clients to walk away with a finished product not some piece of technology that is here today and gone tomorrow. Families will still ask for the disk of all their prints, we need to stop and think about that. We know that computers don't have a disk drives anymore. Did you know the latest Macbook pros don't have a USB connection built into the computer. They are now on the road to becoming obsolete. How long will this Cloud service be here. What if it gets hacked. People, let us deliver a finished product to you. We print your photos at our professional labs so you have these portraits for generations. Candid photos also known as lifestyle family portrait sessions take a different approach to creating your family photos. The goal of a this style is to capture more natural images that show how your family connects and interacts. This style session is guaranteed to make some memories. Candid session (unposed) Think real moments. We focus on capturing personality, connections, and relationships. We have lots of suggestions for activities that will photograph well. These photos typically are you not looking at the camera smiling. I capture moments of the family interacting with each other, laughing smiling, playing, walking, holding hands, catching bubbles, chasing butterflies etc. Each session is unique and we take what is in the environment and incorporate that into the session. A candid session can also be achieved in the studio. We snap the photo of you just after the pose laughing or looking the other way, a small glance at your child or husband. Our Traditional style family portraits will feature more images of you looking directly at the camera. Think cheese, but not cheesy. Our goal is to make a beautiful well lit photos with a spontaneous feel. Traditional (posed) Think spontaneous beauty. Amazing backgrounds perfect light, and just the right expression usually don't happen by accident. This is a more structured photography session. We could shoot in a park, field, downtown, or at the beach. We even have a great studio if you like a more polished look. Although we use the word traditional we still incorporate our unique photography style. We strive to capture real moments, expressions, feelings, and emotions in every image. We love to take photos in our Orange County studio. We photograph families, babies, children, couples, even fur babies with our studio props, lighting, and backdrops. Traditional photography can also be taken in an environmental setting. Your favorite park, downtown area, or beach. We discuss this in the planning meeting to find out what and where you would like to have your photos taken. With traditional photography we focus on the subject being photographed not the environment in which you are being photographed in. Most images are clean, bright, sharp, and perfectly lit. Most clients invest between $800-$2500. Minimum order $500.